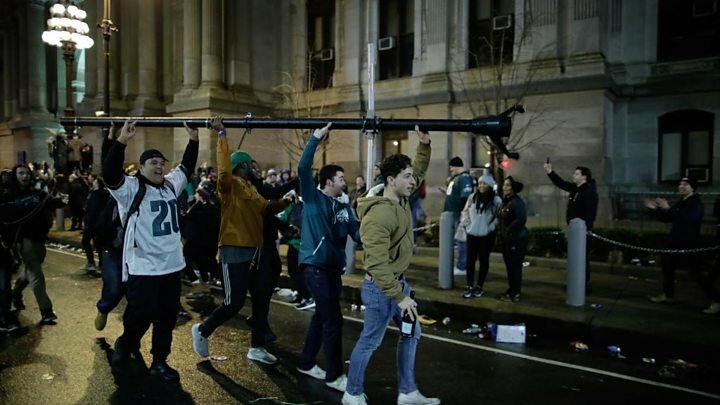 Incidents of rioting and looting have taken place in the US city of Philadelphia as fans celebrated a historic Super Bowl win on Sunday, wrote BBC. Social media pictures showed scenes of chaos as 100,000 Philadelphia Eagles' fans took to the streets. A police officer is among those reported injured. Cars and shopfronts have been destroyed and looted. Despite bracing for chaotic celebrations, authorities were overwhelmed following the Eagles's 41-33 win against the New England Patriots. One officer was heard saying on the police scanner: "It's endless, chief. Endless.